Favoritism has critics and environmentalists alike calling fowl! With the nomination of Gina McCarthy to be the newest chief of the Environmental Protection Agency, a lot of shade has been thrown on the administration’s lack of transparency and practices of favoritism. First Senator Vitter delayed the vote with 1,038 questions, which he then narrowed to five key demands. Now it is looking like Republicans will filibuster the vote when it reaches the Senate floor. 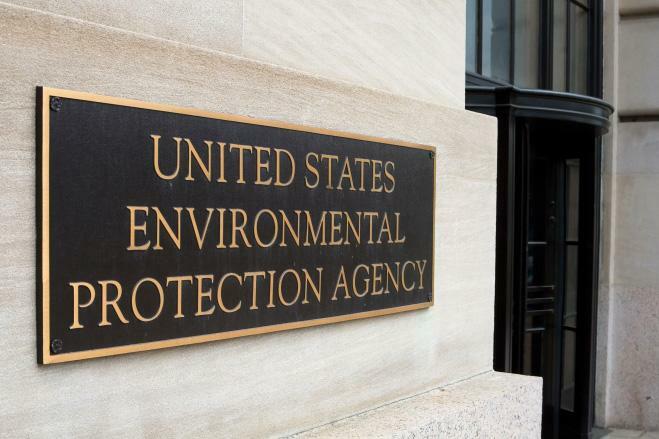 Nature reports that this has been the longest wait for any EPA chief nominee in its 43-year history, even longer than Bush’s Michael Leavitt, whom Republicans compare their investigation to. Vitter’s concerns are part of a growing controversy about the EPA’s transparency and compliance with the Freedom of Information Act (FOIA). At the same time of the IRS scandal, the EPA was accused of a “pattern of conduct in which this administration rewards its friends and punishes its opponents.” Representative Whitfield gave two examples of EPA favoritism; fees for information requests under FOIA are waived 92% of the time for environmental groups, but assessed 93% of the time for industry groups. He also argues that the EPA does not fine wind farms for deaths of protected birds, but does for oil and gas companies. Such accusations have led Chris Horner from the Competitive Enterprise Institute to begin his own investigation into the EPA’s practices. In a letter to the acting EPA Administrator about the preferential treatment, four congressmen wrote that “the startling disparity in treatment strong suggests EPA’s actions are possibly part of a broader effort to collude with groups that share the agency’s political agenda and discriminate against states and conservative organizations.” Horner hypothesizes that even if the EPA does not lean towards all green groups, some may be getting tips from agency insiders about what information to request. There may even be a pattern of bias by simply asking for other fee-waiver determinations. The response has been that the agency waives most fees and is moving towards an online system, but Republicans continue to push for more FOIA materials and requests. However, the recent approval by the Fish and Wildlife Service of wind farms to “take” California condors (that is injure or kill during operation) has upset environmentalists as much as administration critics. Wildlife advocates say that even one condor death is too many, and that the practice sets off “a very complicated numbers game.” Other protected species, such as bald eagles and golden eagles, have similar proposals for permitted takings that would protect the wind industry rather than protecting endangered species. These new guidelines give wind-energy companies greater license until there is a “significant adverse impact.” The guidelines, often written by the industry also require that prosecution must first be approved by Washington senior officials. Tim Eicher, a former USFWS agent says that “You’ll never see a prosecution now.” Officials insist that guidelines for wind farms are best as preventative measure and that they will still push for prosecution if deaths occur. They say that little can be done once wind farms are built whereas there are easy fixes for oil and power companies to stop killing birds. Strangely, industrial facilities aren’t required by government to disclose how many birds they kill each year. Tags: EPA, FOIA, Freedom of Information Act, Internal Revenue Service, IRS, taking, wind energy. Bookmark the permalink.